With Adelaide power costs being amongst the highest in the world, making savings on your power bills is a welcome relief. Roller shutters are an excellent investment offering annual savings of up to 30% on heating and cooling costs. They are an amazing way to keep your house cool during the hot summer months. They provide a physical barrier at the window preventing heat building up through the windows. If you leave your roller shutters down when you go to work, you will find that you will return home to a much cooler and more comfortable environment. 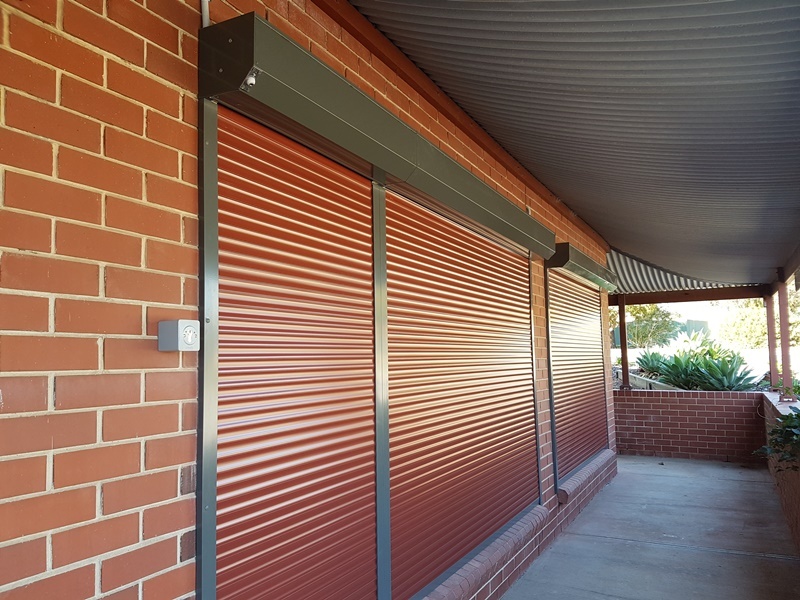 Roller shutters are made from roll formed Aluminium here in our Adelaide factory and injected with PU foam core which not only gives strength and durability but makes our roller shutters a great insulator, keeping the heat out and the cool in. Conversely, in winter they provide additional insulation at the windows keeping the heat locked inside the home whilst keeping the draughts and cold out. Open’N’Shut roller shutters are high on style and easy on the pocket, so why not invest in something to add value to your home and save on your heating and cooling bills too. When you live next to a school, an airport or even a busy road the background noise levels can dramatically impact on your lifestyle. The great news is that roller shutters can reduce external noise transmission by up to fifty percent and that can make a big difference to your day to day living. The dense PU foam core absorbs and dampens the noise to create a much quieter environment which can help the household to sleep better, and there is no need to turn up the volume on your TVs and shout to be heard against the background noise. So, if you live in a noisy area roller shutters could be the perfect solution for a peaceful environment. Feeling safe and secure in our homes is something we all take for granted and roller shutters are a great way to increase the security of your home. Providing cover to the window, they not only prevent potential burglars from seeing inside your home but provide a strong and robust physical barrier to the window, blocking off one of the easiest entrance points to the home. The impact of theft and break-ins can be devastating, and many people invest in roller shutters for the added peace of mind and security they give whilst being a visible deterrent for burglars. Overall roller shutters are a highly versatile and stylish addition to your home, they add value and increase the aesthetic appeal, whilst offering a host of fabulous benefits. An investment in roller shutters goes well beyond style and function and offers real returns in terms of cost savings, enhanced security and noise reduction.